Speaking and listening skills are developed as an integral part of our learning in all subjects. The modelling of good speaking and listening and the skills needed to interact appropriately with others is emphasised strongly from the very early years in our Foundation Stage Unit where quality adult interaction underpins all learning. Through our topic work we ensure that children’s vocabulary is developed. Use of talk partners enables children to practice talk and dialogue for learning in all subjects. We use drama, including role play, hot seating, characterisation, freeze framing to name a few strategies to explore different types of talk. Children learn the skills and language of debate and presentation through cross curricular learning in the majority of subjects. 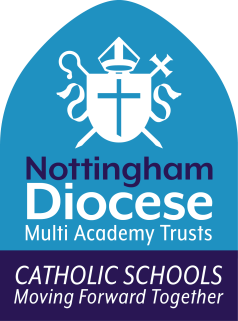 Children are encouraged to take roles of responsibility and lead whole school acts of worship, assemblies and productions confidently and with clarity to build strong communication skills for life. Reading in school starts with a phonic based approach to learning to read based on the revised version of Letters and Sounds developed by Jason Wade with whom all staff have had training. Our Foundation children enjoy learning the corresponding sound (phoneme) for each letter through play based activities as well as discreet phonics teaching which uses rhymes, songs and actions to ensure the learning is fast and fun. This approach is ensures that children develop successful phonic skills and knowledge for reading (and writing) in years 1 and 2. • Opportunities to read as a professional. To support the teaching of reading children, choose a book from within the book band they are reading which provides material at an instructional level, they take this home and we need parents to support their child’s reading development by sharing this book with them and using the colour banded examples of question types, which are stuck into their reading diaries and are linked to their book band, with them. These books are compiled from a range of schemes as well as ‘real books’. At Saint Patrick’s, we encourage a love of reading through teacher led reading of quality texts daily in class as well as quiet or shared reading time. Children are able to select from a wide variety of books in our well-stocked library and have a fortnightly library session where they are encouraged to use the Dewey system to understand how non-fiction books are organised and to choose from fiction and non-fiction texts a book to borrow to read at home. In the earliest stages children are encouraged to make marks and explore ‘writing’ using a variety of materials and equipment leading to them breaking down the sounds (phonemes) they hear in words and use their phonic skills to write them as part of their daily phonics sessions. They are taught correct letter formation using cursive script and encouraged to have-a-go at writing in a variety of play based learning opportunities as well as in guided groups with the teacher. We promote and plan opportunities for reading and writing in cross curricular sessions in all curriculum subjects. The teaching of these skills is repeated on a 2 week cycle alternating between fiction and non-fiction. This structure of revisiting, teaching, practising and application of skills enables children to embed and master the skills needed to produce a quality piece of writing at the expected or greater depth standard for their year group. In addition to this we aim for our pupils to become confident, capable writers enabling them to communicate effectively in print as well as orally in readiness for life in the wider world. We ensure that children have a variety of purposes and contexts for their writing, including Newspaper reports, letters, diaries, reports, biographies, instructions, persuasion, discussion and recounts. The teaching of spelling rules and patterns in years 2-6 are taught 2-3 days weekly. We use the No Nonsense Spelling Scheme to structure the teaching of spelling across years 2-6. Children are expected to master the spelling of the common exception and key words for their year group by the end of Year 2. Parents are asked to help children with learning spellings at home as part of homework. As our youngest children enter school in nursery they are introduced to early sound recognition through the 7 aspects of Phase 1. The children, when they are ready, are then moved through stages 2 – 6 of the phonics programme in preparation for the Year 1 Screening test and Year 2 SATs papers. Phonics is taught daily to all children across Foundation Stage and Key Stage 1. Sessions take place in the morning and last 20 minutes. The children are taught in small groups on a phase that matches their current levels of knowledge and understanding. By teaching phonics in this way, we, as a school, feel we can best support the individual learning needs of each pupil. Please find below a copy of the Powerpoint we produced for Parents attending our Stay and Play Session in November. Please see the powerpoint below which was shared with parents at the stay and play phonics session.